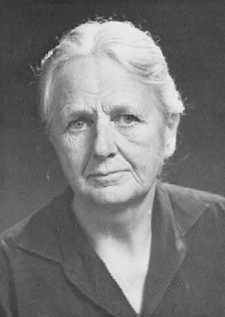 In her book The Economics of Imperfect Competition (1933), Joan Robinson applies calculus to demand and supply curves so that the differentials of total cost and total revenue are marginal cost and marginal revenue. Equilibrium of output and price are achieved where marginal cost equals marginal revenue. This comment is by Peter L. Griffiths. Joan Robinson could have developed her ideas on demand curves further by recognising that demand curves could take the form of curve of a circle with centre at (+x, +y) in the case of a monopolistic curve , and (-x,-y) in the case of a competitive curve. A hyperbola converging at x=-1 and y=0 at the other end could also serve as a monopolistic demand curve, but not a hyperbola converging at x=0 and y=0 where the corresponding marginal revenue will be always nil. This comment is by Peter L. Griffiths.